The state of Karnataka is now witnessing communal riots in the Uttara Kannada district. There is a Congress government in Karnataka. The increasing communal tensions in the state are being seen as a result of the carelessness of the regime. The ruling government, of course, has the power and resources to prevent and curb such instances. Having said that, in this article, I speak to Basavraj Sulibavi from Ladai Prakashana, Karnataka about the recent developments in the state. Basavraj Sulibhavi recollects Karnataka as “a land of resistance”. Starting from Basavanna in the 11th century to all the movements demanding rights; and from Kuvempu to Prasanna, Sulibhavi notes, movements and literary traditions of Karnataka have opposed communal forces. The question is, why is the state today, in 2017, witnessing communal riots at such a large scale? The answer is, BJP is making use of the remnants of its rule in 2008. It is now the Uttara Kannada district’s turn. 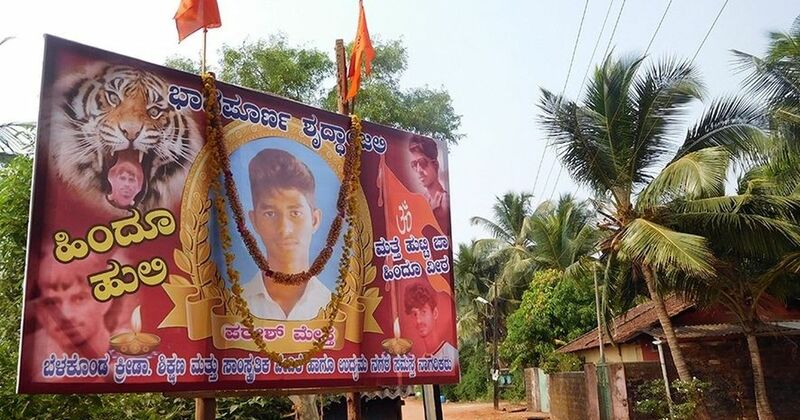 Paresh Mesta’s death in Honnavara, under mysterious circumstances, is being used by the BJP and RSS in the state to communally polarise the state. The death of Mesta is no longer simply a case of murder or suicide under investigation, but is made into the death of a Hindu Martyr. Below is a hoarding in Honnavara which offers homage to Mesta and the hoarding reads “Hindu Huli, matte hutti baa, Hindu veera” which translates to “Hindu tiger, come back, Hindu martyr”. One has seen a rise of such instances in the country since the BJP government has come to power. 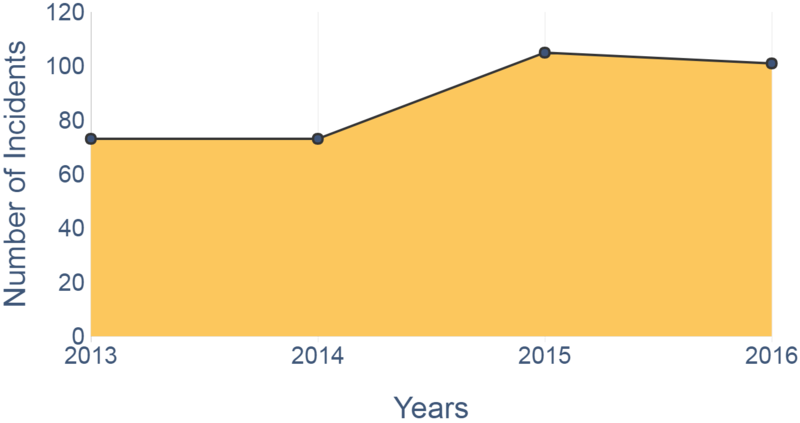 The National Crime Records Bureau’s data for 2015 shows that Karnataka had seen 163 cases of communal violence in 2015 alone. According to the data analysed by the minorityrights.org, the anti-cow slaughter legislation alone had triggered 352 communal violence incidents. Karnataka, with the ruling government being Congress, gives us a platform to understand the agenda of BJP in the upcoming elections. Basavraj Sulibavi says, “Development is not the agenda of the BJP in the upcoming elections. It is a communal agenda”. The congress needs to answer the questions it is faced with. Sulibavi notes, “Congress has both pros and cons”. According to him, “Policies like, Anna Bhagya Yojane for migrant labourers, Indira canteens in Bangalore for the poor, increase in the remunerations given to the SC/ST, effort to renew employment reservation and its support to the Lingayat movement in the state, has put the Congress in the good books of the deprived and oppressed sections of the society. Karnataka has a history of Bhashe movements. These movements, working towards ‘preserving’ Kannada and contributing to the development of Kannada literature, opposed the attempts by the Modi government at the Centre to declare Hindi as the national language. Karnataka, hence, is a tough ground for BJP to lecture the masses on the greatness of its development agenda. Speaking about the ongoing movement by the Lingayats, Sulibavi said, “Most of the people associated with the movement today had joined their hands with the BJP. On realising the Hindutva agenda of the party, they stepped out of the party.” The Lingayat movement argues that Lingayats are not Hindus. Following the teachings of Basavanna’s Virashiva Dharma, the movement argues, Lingayats cannot be considered as Hindus. With such an argument, the movement is asking for the status of a separate religion. M.M. Kalburgi researched Vachana Sahitya, the reformist literature of Basavanna and his contemporaries, and also wrote extensively about the appropriation of Lingayatas by Hinduism. Him and his works were scrutinised by the Hindu fundamentalist groups in the state. Gauri Lankesh played a major role in building the Lingayat movement. Both Kalburgi and Gauri were killed and the murderers in both the cases have still not been caught, just like in the case of Narendra Dhabolkar and Govind Pansare. When the state was mourning the death of Kalburgi and Gauri, there were BJP supporters who were openly celebrating these deaths. The leaders and elected representatives of the party were seen saying outrageous things in public. Jeevraj, a BJP MLA in Karnataka, speaking of Gauri’s murder had said, “Since the Congress government came to power, 11 leaders of the BJP and Hindu groups were murdered in the State. Had Gauri Lankesh condemned the killings and criticised the Siddaramaiah government, don’t you think she would have been alive today?” This statement, of course, was condemned and protested. Nevertheless, social media was flooded with such derogatory remarks about the dead. The only agenda of the BJP in Karnataka is to win through the communal vote bank and the current situation is the performance of such an agenda. Lies and rumors are their tools and they are using social media platforms to mobilise people to participate in communal violence. Yogesh S is a member of the editorial collective of the Indian Writers' Forum.